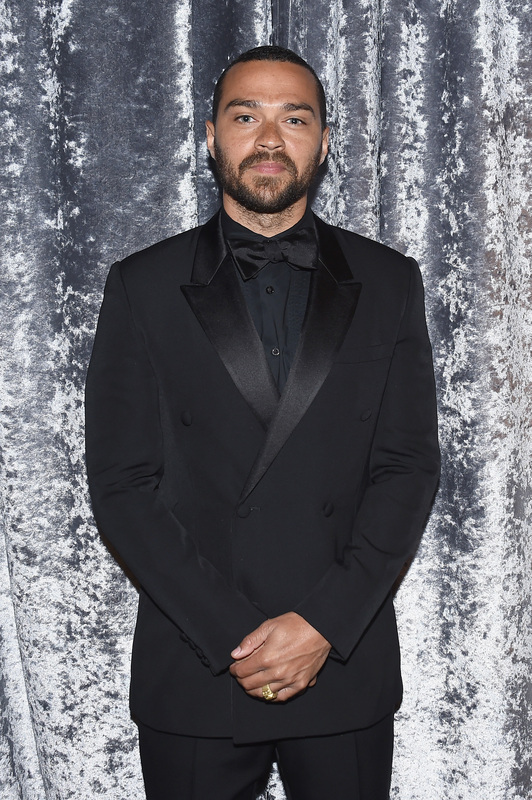 Actor Jesse Williams is well known for his role as Dr. Jackson Avery on the long-running Shonda Rhimes drama Grey's Anatomy, but Williams' legacy will be his relentless devotion to activism. The 34-year-old actor uses his celebrity to organize for social justice, calling attention to racism and discrimination against black people in America. He has often been referred to as this generation's Harry Belafonte. In an inspired moment at the 2016 BET Awards, Williams made history with his powerful acceptance speech for the Humanitarian Award, and called for action in this violent time for black people in America, not critique: "The burden of the brutalized is not to comfort the bystander. That’s not our job... If you have no interest in equal rights for black people, then do not make suggestions to those who do. Sit down." Williams, a former teacher, has spoken up, often on Twitter, about white privilege, racism, police brutality, appropriation, protests, gentrification, and, most notably, about the deaths of black people in America, including Sandra Bland, Michael Brown, Freddie Grey, and so many more. Here are some of Williams' most powerful activist moments that will inspire you to raise your voice against racism in America, because complacency is dangerous. In a series of 24 tweets last July, Williams responded to the death of Sandra Bland. In a series of 24 tweets, Williams tackled police brutality, the double standard of who deserves freedom and citizenship, anti-blackness, and more. In October 2014, Williams joined the marches in Ferguson, Missouri, to protest the death of 18-year-old Michael Brown at the hands of St. Louis police officer Darren Wilson. Williams produced a film about #BlackLivesMatter called Stay Woke: The Black Lives Matter Movement, which premiered on May 26 on BET. The film features Williams interviewing fellow activists at the front lines of the #BlackLivesMatter movement, including founders Alicia Garza and Patrisse Cullors, as well as other organizers like DeRay Mckesson. For centuries, certain white civilians and members of law enforcement have used the privileged presumption of decency afforded them to cast aspersions on black people. Such aspersions are deadly for African Americans. Crawford's fate is one few white people will ever fear or experience, particularly in a brightly lit Walmart. In April 2015, during the protests in Baltimore, Maryland following the death of Freddie Grey, Williams took to Twitter to set people straight about the language of "rioting." Noting that when white people rioted for sporting events or when violence happened at the hands of the state, the reaction was nothing like when black people protested racial injustice. In October 2014, Williams took to Twitter to decry those who disgustingly dressed up as unarmed black teenager Trayvon Martin for Halloween, and the inhumane commodification of "black pain." In this video that went viral in 2014, Williams eviscerates white privilege and the idea that Michael Brown "deserved to be shot." It's a fiery and powerful six minutes. In an interview with HLN in 2014, Williams appeared and said he was outraged about the verdict in the trial of Michael Dunn. "I'm outraged," he said. “It is not a Black problem. It is a white problem. This is an American problem. It is a societal problem." Williams should inspire you to get angry, get educated, and stand up for racial justice, no matter who you are. Racism is everyone's problem, and progress won't be made until the burden of the fight does not rest solely on the backs of black activists.